The only downside of being at GDC in San Francisco a few weeks ago was that it meant I couldn't play Mass Effect 3 when it launched. That in turn meant that I suddenly had to be very careful when navigating all my favorite gaming sites during the following week. Folks were apparently all kinds of pissed off. The end of the game, if you believed the internet, sucked. I was adamant I was not going to let my professional gaming community curiosity deny me the chance to experience the ending for myself, so I buckled down, tried to avoid any sources that would cover the story, and fought my way through the final battle for humanity alongside my version of Commander Sheppard. ...find out why after the cut... warning, there be serious spoilers ahead, so if you haven't finished the game yet, don't venture beyond! I thought that Mass Effect 3 was a perfectly fitting send off for the series. To be honest, mechanics and gameplay wise I barely noticed the difference between the second and third installments. Something I was fine with, as the second game had pretty much compensated for the flaws of the first that had frustrated me. The main refinement on this final part was a welcome one, as the Paragon and Renegade system was less intrusive and, at least for my version of Commander Sheppard, did not adversely distract from the experience as it did last time out. The cover based shooting was still perfectly functional, and in places mildly entertaining, although limited by a distinct lack of variety in the foes, but a game like this is all about the story. After three games and countless hours navigating our own personal interpretations of Commander Sheppard through this giant space opera, what we wanted more than anything else was a fitting send off for our gallant hero / heroine. If you could sum up the concept behind the Mass Effect series in one word, it would be consequences. The consequences of both action and inaction, the consequences of picking sides, or of making hard decisions with no correct answers. Where the series excelled was in putting you firmly in the shoes of an honest man / women in an incredibly challenging situation, and having you feel the weight of those choices. By this third chapter the storytellers at Bioware have struck a fine balance here, with a series of challenges to which there is no obvious 'right' or 'wrong' solution. While the Paragon and Renegade labels are still there knocking around the fringes of the story, this time out they managed to craft more than a few pivotal points where there was no obviously 'correct' path to chose. If anything they get the closest to the type of experience I was wanting all along, one divorced from the meta-game of maximizing an arbitrary score that will in some way influence your options later on. With the narrative focus of the entire series being the consequences mentioned earlier, and of the sacrifices that people in authority make, or do not, make, for me it was not only fitting that the ending would be bitter-sweet, but almost expected. While apparently vocal sections of the internet do not agree, I can't say I understand the objection. If anything I think I'd have been more than a bit disappointed if they all flew off into the sunset and 'lived happily ever after'. Sheppard was a hero / heroine that needed that final sacrifice to close their story arc. After all, they had already died once before, so to me, the whole second and third installments of the series were in many ways 'borrowed time', intended to allow you to save humanity. It is what added weight to proceedings that games don't always execute well. I in particular liked the scene at Thane's deathbed, and that final shared moment with Liara was genuinely touching. In fact, you can easily argue that the Mass Effect series itself hasn't always succeeded at demonstrating the required subtlety to have an emotional impact, but here they manage to do so several times. Having Sheppard make a final sacrifice was an essential part of closing things out for me. I think they framed the choices at the end as well as could have been hoped. The fact that the final sequence did not fully explain itself, or the nature of 'the cycle', the reapers, or the being behind it all, didn't bother me in the slightest. I think that it almost misses the point to be upset about that. The most important narrative point, that Sheppard is going to break the cycle, is all that matters from a closure point of view, and all good science-fiction benefits from a little mystery. Over exposition can be a fatal flaw in any high concept tale, and this is no different. 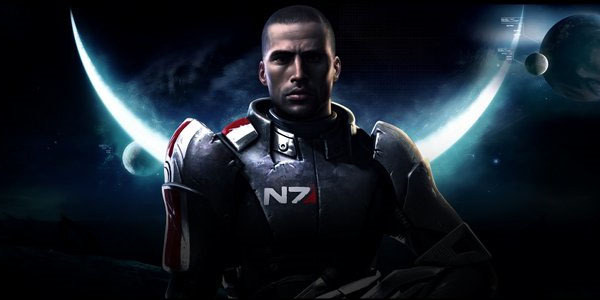 Likewise any suggestion that our choices were not meaningful enough seems to do a tremendous disservice to fact that there are so many different permutations of character relationships that are possible, your Mass Effect story, has very much been shaped by how you chose to experience the series. The trilogy should be remembered for what it achieved. If anything even the apparent hatred for the ending amongst some, still comes from the fact that we came to care about these characters. Possibly more so than any cast of computer game characters that have gone before. The final installment is so wide, and covers characters arcs that might not play out in your version of the game (depending on who lived and died in the preceding games), that different players can have a significantly different experience with the game, something that I think with time will resonate much more memorably with gamers, than any immediate noise or discontent surrounding the bitter-sweet ending. We will remember the wonderful variety of texture that Bioware wove into the experience for far longer than we will any internet campaign to change the ending. ME3 was good game. No doubts about that. It certainly managed to evoke lot of emotions and make player actually care. But the reason why the ending caused such furor in the player was that Bioware made promises it then did not keep - not to mention some plot holes (yeah, been reading the forums a lot). Players were promised that their decisions would matter, and yet they have found out that in the end they are more and more railroaded in each game. Sure, it is understandable, but... then developers should stay mum about that side of the game and concentrate on talking about things they do excel in: Evoking strong emotions in the players. Regarding those emotions, ME3 hit me almost as strongly as Requiem for a Dream (interestingly enough both had same composer working on them). Oh, and multiplayer is lot of fun and very addictive. I sure hope that they keep on building that. @Niko Aye, I somewhat understand the 'I feel something else was promised' argument, but I guess I have become a touch immune to marketing speak in a games pre-release phases. I tend to judge what is put in front of me, not what I might imagine based on X, Y or Z article or quote ... which may be where I differ in outlook from those who had an issue with it.